Simon & Schuster Australia sent me a book to review. How To Go On When The World Stops! Pearl is sixteen with a mother she idolizes, a father she loves and a baby sister she is excited to meet. Then in a moment everything goes wrong. Her mother dies, her father pulls away from her in favour of the daughter that is biologically his and her long awaited baby sister is nothing more than a wrinkled ugly rat, not to mention the cause of her mother's death. Somehow no one else sees the rat as she does; no one else seems to care her mother is gone. 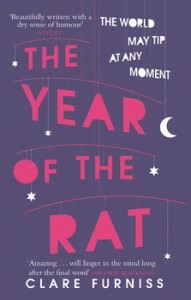 The Year Of The Rat is the longest, worst year of Pearl's life. One by one everything in Pearl's life goes wrong and everyone in her life abandons her in-favour of her baby sister, the rat. Her mother was her best friend, her world, and when she died Pearl's life changed in an instant, her world was thrown upside down and nothing would ever be the same again. A touchingly tragic story of grief, secrets, family and the unexpectedness of life. Pan Macmillan Australia sent me a book to review. Winning The War Is All That Matters! Alban is a land is turmoil, a land crying out to be healed and there are those who stand ready to hear that call. Humans and Good Folk alike have been preparing for the war that is too come, for the battle that will determine Alban's fate and their own. Word has spread and the people, and Good Folk, are ready for a change. 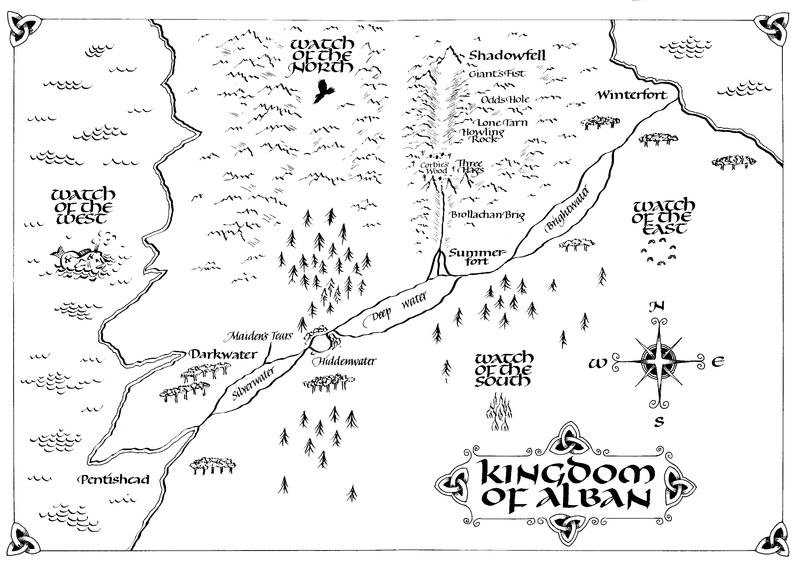 But when the time comes not everyone will fight for a free Alban, as there are some people still willing to fight for the tyrant King, and there are still others, Good Folk among them, who will be forced. Owen Swift-Sword is one of the King's most trusted men. As an Enforcer Troop Leader and most skilled Enthraller he holds a very influential position at court, privy to all the most intimate dealing in the kingdom. Flint is a man loyal to the rebel cause of Alban and plays a most important role to the resistance based at Shadowfell. But these two lives will collide at the final battle, for no one man can be torn in two for so long without breaking and although he is willing to die for the rebellion, he would gladly give his life to see Neryn safe. 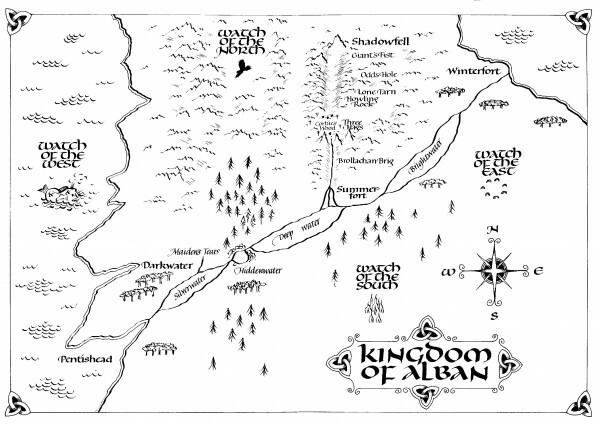 Neryn faces a great challenge; she must use her gift during the battle to save Alban, calling the Good Folk to the rebels' side to fight for freedom. But the greater challenge still is staying alive long enough to see this done. However word of another Caller, one that is powerful enough to draw the Good Folk from her presence is worrying enough, but worse still is the news that this rival Caller is in the service of the King, willingly. With time running short and her training not yet complete, Neryn will be put to test, but even if it were still possible to save the land she loves, she may still lose the man she loves. 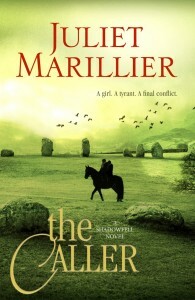 The Caller unites the elusive and magical Good Folk with the rebels of Shadowfell, all willing to fight and die for Alban's freedom in a final battle that will once and for all decide their fates. Many friends and allies have died along the way and many more will fall before the end, but with so much preparation, heartache and faith placed in the plan, the culminating bloody battle will be one of both hope and heartbreak. A beautifully bitter-sweet ending to an engaging and sincere series. A memorable story filled with rich and enduring characters that will live on in our hearts and minds. A Heart Linked To The Sea! Megan has always been attracted to the sea, spending her days drawing its many faces from its roaring white caped waves to its calming living tidal pools. But now something is different, something had crawled out of the sea and into her life. More and more the sea is encroaching on her life, overtaking all she loves, and if she is not careful she will lose all she loves to the sea. Jonah's passion is for the past, it lies in the rocks and fossils of the sea that crowd his thoughts and litter his home. But now the sea has offered up a new passion to Jonah, one that he cannot escape from, hard as he might try. For the song of the sea has captured his heart blinding him to all things but her song, and with this song in his heart he is in danger of losing himself to the sea he loves. Something Rich And Strange has emerged from the sea, bewitching, enthralling, demanding to be heard. But the sea sings not just for love but for salvation for the seas are dying, pollution clogging its heart and killing its soul. A story of love and enchantment, this second book in the Fairyland series is passionately written by an expert storyteller bringing to life the dreamy images of a much loved illustrator. "That She Must Love Her Enemy"
Once in Verona there lived two families who held a great quarrel between them, these were the families Capulet and Montague. Nothing could persuade these families from their hate for each other, a hate they passed on to their children. But as it happened, however, Romeo of the family Montague one night gazed upon the image of Juliet, a Capulet, and the two were at once in love. But with their family's hate against them, this was a love that was fated to end in heartbreak. 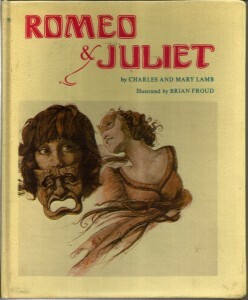 Romeo And Juliet, the famous romantic tragedy by William Shakespearean has been here transformed into a story that embodies the essence of this play in both word and spirit. These feuding families are again the cause of so much loss and sorrow, as their children pay the price for the parents' animosity. A story that blends soft romantic imagery with poetic words of an immortal, bringing new life a timeless tale of love and woe. "Prediction Made Easy By The World's Best-Known Fortune Teller"
In the history of just about every culture around the world there have been those who have looked to signs and interpreted their meanings to show them the way. From shooting stars, chicken bones, ogham staves and tarot cards, there has always been those who can see what destiny lies ahead. In times past people would visit oracles, seers, shamans and wise women to consult and advise on matters great and small. Modern times have now allowed that we see for ourselves, read our own destinies and follow our own paths and tarot cards such as these have made that possible. 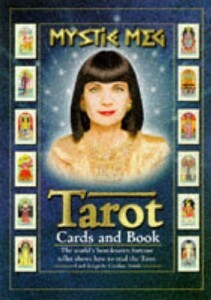 Tarot is the first tarot/oracle card set I ever owned and is still one I come back to. In this set the traditional names of some of these tarot cards have been updated and changed, for example the names for each suit of the Minor Arcana, Pentacles, Swords, Cups and Staves have been replaced instead with the elements of Earth, Air Water and Fire. There are also a number of other name changes including the Fool card which is here called Beginning and the Death which is now called Changing. All these changes help to bring a deeper clarity to each card, revealing its true meaning and purpose. When Tom's baby tooth fell out his sister Holly told him all about the Tooth Fairy who would come to collect it. Unfortunately Tom lost the tooth while playing in the garden. 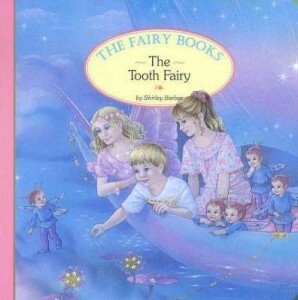 That night the Tooth Fairy arrives to collect the tooth and takes both Tom and Holly on an adventure to Fairyland. When Sarah Jane stepped into a fairy ring while walking in the forest, the fairies immediately flew her away to Fairyland for a magical adventure. 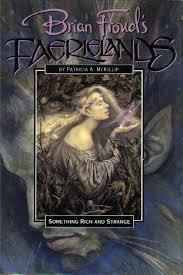 There she met the Fairy King and Queen, she had a wonderful time but all too soon it was over and she was home again. 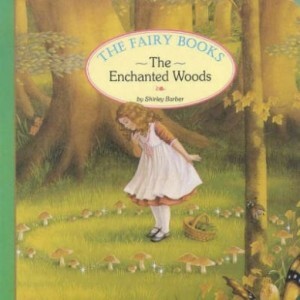 Once again Sarah Jane meets fairies while in the woods, and once again she is taken to Fairyland. 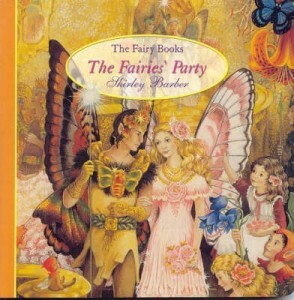 This time it is to attend a beautiful party for the fairy prince and princess. After much fun and a magical feast the party comes to a close and Sarah Jane is returned home safe once more. Enter the magical world of fairy; do not stay long for it can be quite scary. What with dragons walking about, but hush now and do not shout. For the fairies are shy when at play, but come along now for it's the end of day. 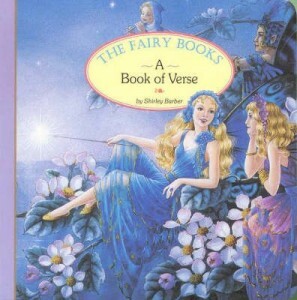 Fairy Board Books In Case is a collection of four sweet board books by Shirley Barber. The simple stories will delight any little one and with their carry case they are fun to take anywhere. Home Baked Never Tasted So Good! At the age of seven Merle Parrish baked a batch of Anzac Biscuits that won her first prize in a state cookery competition. After that it was her patty cakes that won her first prize for cake baking. Since then her skills have only improved, as has her baking repertoire. With everyday ingredients and simple to follow directions, these recipes will allow you to create mouth watering treats at home, including Merel's famous Peach Blossom Cake. 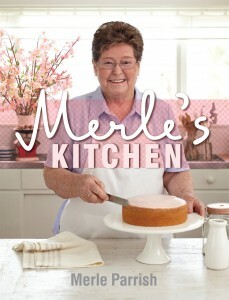 Merle's Kitchen is a collection of Merle's own recipes as well as those that have been handed down to her from both her mother and grandmother. Including recipes for cakes, puddings, slices and scones, each delicious recipe is presented in full colour with notes scattered throughout. A wonderful collection that will satisfy all your baking needs, whether you're looking for treats for the kids, impressive deserts or something sweet for yourself, you're sure to find something to please. 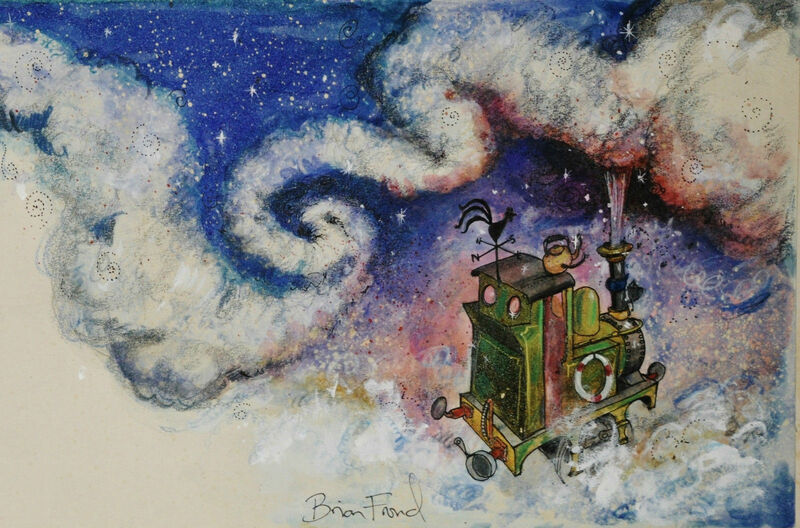 Penelope and Bridget are sisters who have just been given their very own railway engine by a rich relative. A railway engine that they drive everyday around the town being followed by a procession of barking boys and yelling dogs. When one day the Hairy Brigands come down from the hill to cause mischief, the railway engine saves the day. 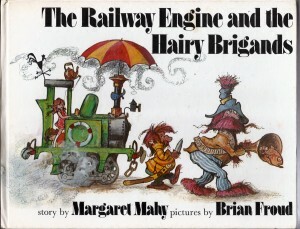 The Railway Engine And The Hairy Brigands is a quirky story of two little girls, a railway engine and a gang of Hairy Brigands who live high in the rainy hills above town. This imaginatively witty story coupled with its adorably gritty images is a classic childhood favourite, that is if you can find yourself a copy of this charming out of print book. Scholastic Australia sent me a book to review. How To Live With What's Been Done! Jennifer Jones, JJ, killed a ten year old girl and was locked away for her crime. That was six years ago, now the name JJ is once again headline news due to her release from prison. Although detention centre may be a more accurate description then prison, as you can hardly send a ten year old to prison, even for murder. Now sixteen, JJ has a new name and a new life, with a chance to start fresh from her past actions. There are those who believe she should never be released, sometimes she even believes that herself. But only she knows the true reasons for her actions that day, and only she can decide if she deserves a second chance. 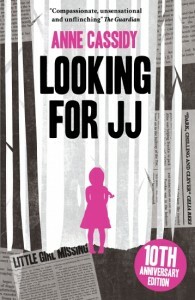 Looking For JJ is a fascinating story of a child murderer, of a girl searching for identity, of a haunting and terrible past. Neglected, ignored and starved for affection, this is a sad and tragic tale told incredibly with compassion and realism through the eyes of a killer, the memories of a ten year old, the hope of a sixteen year old. "Book Of Fairy Letters Found!" Angelica Cottington's fairy pressing exploits have become widely known thanks to the work of the newly established Cottington Archive. But what is not so widely known is that throughout her life, Angelica conducted numerous correspondences on the subject, that is if this newly acquired and highly suspicious scrapbook of letters is to be believed. But believe it I do and when reading through these letters one thing becomes abundantly clear, Angelica is searching for more than just conformation that these pesky fairies exist outside of her imagination, she is searching for the truth, but one she may not yet be ready to hear. 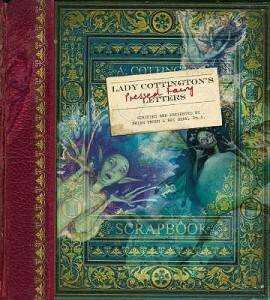 Lady Cottington's Pressed Fairy Letters have been lovingly reproduced and reprinted, pressed fairies and all, despite their unauthenticated and questionable origins. Who can say for sure if Annie Oakley, J. M. Barrie, Carl Jung or Queen Victoria herself did not actually write these letters to Angelica Cottington? A handwriting expert could perhaps, but thankfully none were ever allowed near this unique collection. Although it is evident the fairies themselves have had their influence stamped and squashed all over this scrapbook, these letters are a fascinating and at times illegible read into the most intriguing and elusive character of Lady Cottington.